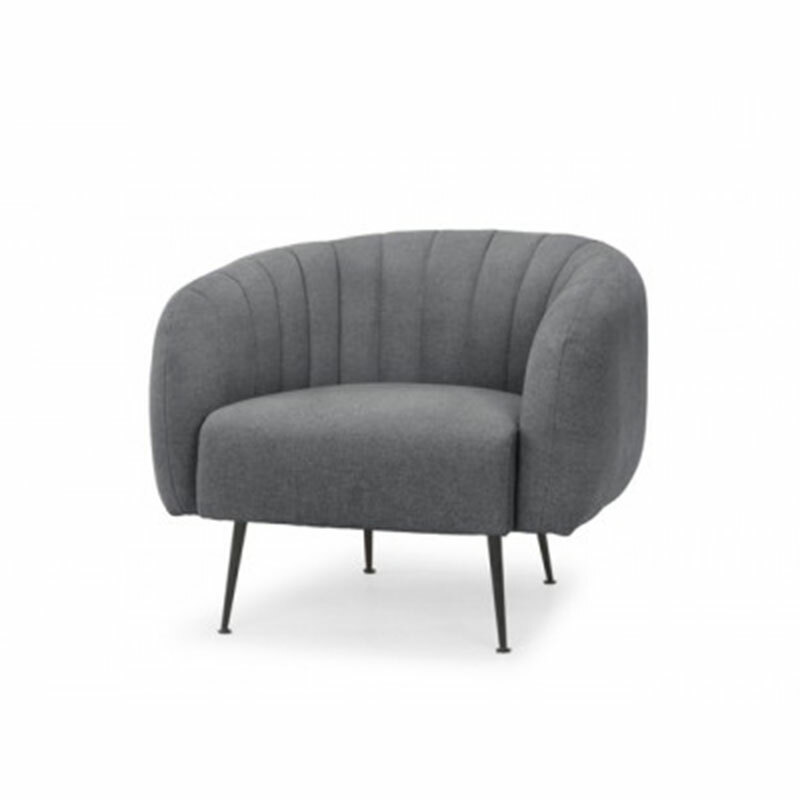 The Joelene chair combines mid century modern drama and contemporary classic design in a cushy upholstered lounge chair great for living rooms and studies. It can also make a great client chair for an office. Material: Pinewood, Foam, Metal Legs, Polyester/Cotton Fabric Blend. Dimensions: Width 83cm, Depth 77cm, Height 65cm, Seat Height 44cm. Colours: Frame – Charcoal, Grey. Leg – Black, Gold.